Editor’s Note: Transition from analog to digital technologies introduces challenges and opportunities. This article informs technical decisions that will determine efficient and affordable use of these technologies. Present day satellites are limited in their ability to provide high data rate communication services for online and distance learning due to the limited availability, and high cost of satellite resources such as power, energy, and frequency bands. Moreover, present communication satellites were designed almost exclusively for supporting stream traffic such as voice, video or bulk data transfers, and are not efficient for the transmission of “bursty” data traffic such as Internet traffic. With data traffic constituting an increasing fraction of the demand for communication services, future satellite systems must be designed to effectively support emerging advanced data applications for distance learning application. Doing so requires a paradigm shift from traditional circuit switched technology, used for voice communication, to packet switched technology, used in data networks. This paper exposits basic architecture and underlying aspects of such networks. It also highlights various access techniques and issues involved with them. Finally, a brief overview of satellite teleconferencing is also given. Broadly viewed, distance learning is an educational process that occurs when instruction is delivered to students physically remote from the location or campus of program origin, the main campus, or the primary resources that support instruction. In this process, the requirements for a course or program may be completed through remote communications with instructional and support staff including either one-way or two-way written, electronic or other media forms. Distance education involves teaching through the use of telecommunications technologies to transmit and receive various materials through voice, video and data. These avenues of teaching often constitute instruction on a closed system limited to students who are pursuing educational opportunities as part of a systematic teaching activity or curriculum and are officially enrolled in the course. Examples of such analog and digital technologies include telecourses, audio and video teleconferences, closed broadcast and cable television systems, microwave and ITFS, compressed and full-motion video, fiber optic networks, audiographic systems, interactive videodisk, satellite-based and computer networks. A significant problem for networks involving distance learning is to reliably connect widely dispersed locations at low cost for voice and data. Data communications is the fastest growing of the two. Potential advantages of satellite networks for data transmission are low cost, low data error rates, insensitivity to distance, great flexibility of network configuration and use of multipoint distribution. Fortunately, a variety of small low cost earth stations using different techniques, especially for low speed packet data networks, are available today. The industries in the developed countries have come up with new names like micro earth stations, micro terminals, personal earth station (PES), and on premises terminals (OPT) etc. all belonging to a class of Very Small Aperture Terminals (VSATs). The need to have private networks for distant online learning has a different thrust in developing countries as compared to the developed countries. While the developed countries have had well developed public data networks using terrestrial facilities, developing countries do not have one yet. VSATs can provide bypass facilities for common carriers to lower costs in developing countries and enable them to provide required services without alternatives. In this sense, VSATs are bound to play a larger and more significant role here. Because of their importance and the need to choose an appropriate transmission technique, this paper concentrates on the various issues involved in satellite packet networks for distance learning. To interconnect remotely distributed processing facilities. To access data bases at different locations and update them frequently. To share electronic mail and messaging between different locations. To provide Audio/Video conferencing using slow scan video or freeze frame TV techniques. While all these capabilities are not required by every distance learning center, the network is capable of offering these services, provided data service rates and the VSATs are properly selected. For example under the requirements of item 1 and 6, one would provide high speed circuits (up to 56 kbps), under item 2 & 3 one would provide quick response transactional circuits. Under item 5, no real time transmission facilities are required. While these transmission speeds are typical depending on the application, the duty cycle or the average time the circuit is busy in a given period, is extremely important. This factor viz. the peak to average ratio is important because, if a high speed fixed rate transmission channel is chosen for a high peak to average bursty data terminal, the channel would be used inefficiently. In such situations, the channel should be such that it transmits in bursts with a very short response time. In this sense, the choice would be for a packet satellite network as compared to circuit switched channels. Possibility of point to multi-point or broadcast transmission facilities. Provision of receive only facilities corresponding to 1/2 circuit costs. Availability of end-to-end digital transmission with arbitrarily low error rates using VSATs . Provision of asymmetric data rate channel unlike terrestrial telephone networks. This can result in savings in cases of question and answer sessions as in data collection systems. Ease of network design and reconfiguration of VSATs to suit changing network requirements. Ability to multiplex data together on a common channel independent of geographic locations by time, frequency and code division multiplexing unlike data multiplexing on terrestrial circuits, which is done by co-located multiplexers or concentrators. A mesh architecture provides full interconnectivity with single hop links, and high G/T earth stations. Although higher C/I earth stations would permit distributed network functions with higher transmission bit rates and with lesser transmission delay (due to single hop), such a scheme is not suitable for VSAT network because of the very small size of the earth station. VSATS cannot communicate with each except through a central station called ‘Hub’ because of their low E.I.R.P. capabilities. Thus full connectivity of VSATS requires using double hop links with Hub as a control station. Such a star network incorporates complicated network control schemes for earth stations  but permits small station VSATs to be located at urban centres, either or roof tops or in backyards. Since two frequencies are involved at the satellite transponder associated with VSAT to Hub direction (in bound) and Hub to VSAT direction (out bound), two different access schemes are associated with each of these two carriers. Higher flexibility and reliability as compared to terrestrial based packet transmission. 3. Response time of devices can be lengthened; sometimes terminals may cease working. 1. Stop and wait ARQ should be avoided and protocols such as Binary Synchronous line control may be used. 2. Continuous ARQ with pull back as used in High Level Data Link Control (HDLC); Synchronous data Link Control (SDLC) is efficient only if a suitable frame sized is employed. 3. When a high bit rate for transmission is used with HDLC protocol, a high value of M (>127) as well as a low bit error rate channel is needed. In other words, the satellite link shall be engineered to give a low error rate performance. 4. Selective repeat ARQ can be employed provided proper link control equipment is used. 5. When pacing and flow control mechanisms are used for distributed processing; computer networks should be properly selected . 6. Polling of satellite circuits for interactive systems is to be avoided. 7. Although terrestrial protocols work well over satellite, they do not take advantage of broadcast capabilities of satellite links. With the above service objectives in mind and the capability of satellite to broadcast information from a point to several points, various access schemes suitable for packet switched networks are described below. These accesses are suitable only for DATA and in a few special cases digitised voice or slow scan/freeze frame video. In a fixed assignment TDMA, each frame is divided into slots of fixed time duration among stations of the network. The assignment of stations to slots is permanent similar to TDMA systems carrying digitised voice except F-TDMA does not have network synchronisation - Packets are sent asynchronously, with no frame sync. signals. TDMA itself is a flexible multiple access scheme and can carry digitised voice, DATA and video of widely different capacities from each station. Them is no intermodulation problems caused by multi-carrier working. Consequently transponder utilisation is the highest. A typical frame is of the order of 1msec or more. The only synchronisation required is that the burst from stations must arrive at satellite exactly in the allocated slots without overlap. 8.2.1 Pure Aloha. In the simplest form, also called pure or unslotted Aloha. Stations transmit packets randomly and packets from different stations may collide. Stations retransmit the packets until they are received correctly. To avoid repeated overlaps, time interval of packet transmission is randomised. Prof. Abramsan and others gave analysis of the Aloha channel throughput [4,7] in term of traffic offered as S = Ge-2G where S is the average no. of packets transmitted successfully and G is the average no. of packet attempted to be transmitted. 8.2.2 Slotted Aloha. It is seen that the maximum throughput of an unslotted Aloha channel is limited to 18% (Fig. 1) due to collision and to reduce the probability of such collision, time slots are introduced so that the transmission can begin only at the start of slots. This network discipline reduces the collision and hence increases the maximum throughput efficiency of the channel. In S-Aloha, each station has 2 queues – the new packet queue and the retransmit packet queue. Only if the retransmit queen is empty, a new packet is sent. The analysis of a slotted Aloha channel shows that S = Ge-G and maximum channel throughput is 36%. It may however, be noted that the bands (in Fig. 1) apply to large uniform networks. It is quite common to see a kind of dynamic reservation in slotted Aloha. Reservation of slots are monitored by all stations and synchronised by maintaining tables showing outstanding transmission requirements. The Reservation table is used by the channel scheduler to assign future slots on demand-access Round Robin-Fashion. 8.2.3 Implicit Reservation (Reservation via S-Aloha). In this form of slot reservation, it is indicated only by the use of slot in a frame time, slots having high traffic rates have one or more slots by reservation. These stations are removed from contention from the remaining slots. Control is distributed at each station based on global information of the network . When a station uses the slot successfully by contention in a particular frame, this slot is assigned to that station in each successive frame till it stops using it. The frame time must at least be equal to the lime of transmission of a single hop, otherwise there are instabilities. This scheme has a higher throughput than either S-Aloha or F-TDMA depending on traffic. 8.2.4 Explicit Reservation. This is a form of reservation scheme implemented on a TDMA system. A Network scheduler makes a distinct assignment of slots to users in a TDMA frame. The slots not claimed by original allotee may be re-assigned on a Round Robin bases to stations having traffic to send. 6. To have fairness in allotting slots to nodes. That is to say that one node does not use the slots all the time. 7. Incorporate efficient message acknowledgement procedures . 8. Network is robust in operation. A comparison of the various access schemes described so far is represented in Table 2 incorporating Delay vs. Normalised Throughput in a 3-station configuration. Spread spectrum technology was initially applied to military and radio astronomy applications. Only a few years ago, spread spectrum technology could be used by VSATs with no complexities or cost penalties. In addition it is also claimed to offer certain advantages. 1. All stations operate on the same transponder frequency using a larger bandwidth than needed for the data rate. 2. The network needs no time or frequency coordination. 3. Provide anti-Jam capabilities or protection against interference. 2. Due to imperfect code orthogonalities, expected simultaneous users may be much limited. 3. Results in a highly complex Central Earth Station for the star configuration. 4. VSAT technology using SSMA is presently available only for a narrow band segment to cater to low bit rate applications. Satellite teleconferencing is technology used to send a one-way video broadcast from one site to many sites through the use of satellite equipment. This one-way video broadcast is made interactive through the use of telephones and fax machines. Satellite teleconferencing is a one-way video, two-way audio (1V-2A) experience where participants can see and hear the presenter, but cannot be seen by the presenter and can interact with the presenter only through the use of other audio media such as telephone or fax. Satellite teleconferencing should not be confused with "videoconferencing" which is a two-way video, two-way audio (2V-2A) technology in which all parties are able to see and hear each other in real-time. The producer of the teleconference leases satellite time from a satellite owner and uplinks its program to the satellite at the time of the broadcast (Fig.2). The broadcast can then be down-linked by sites with appropriate satellite equipment – these sites simply need to be given the satellite downlink coordinates in order to do so. Once the program is down-linked to a particular site, participants at that site can view the broadcast and there is usually time allotted during the broadcast for phone/fax questions from participants to the program presenters. The comparison of various access techniques is provided in Table 2. Satellite teleconferencing has been very expensive until now. It would not be cost-effective for most distant learning centers to use uplinks to originate distance-education classes unless the centers were in a position to market classes over wide geographic areas. It is reasonable, however, for a learning center to use a downlink to receive commercial courses that are delivered through satellite channels. One example of an educational system that makes use of satellite communication is EMG (Educational Management Group). Using the access techniques described above, various overhead costs in satellite communication for distance learning may be diminished or eliminated. In addition, as per the requirements of different distance learning centers, various access techniques cited above may be used. Ananasso, F. Delli Pricoli, "The Role of Satellites in Personal Communications Services," IEEE Journal on Selected Areas in Communications," V 13, N 2, (February 1995), pp.180-195. Jun Sun and Eytan Modiano, "Capacity Provisioning and Failure Recovery for Low Earth Orbit Satellite Networks," International Journal on Satellite Communications, June, 2003, pp. 278-279. E.V. Hoversten and H. L. Van Trees, "International Broadcast Packet Satellite Services," ICCC Conference Proceedings, Kyoto, Japan, September 1978. N. Abramson, "Packet Switching with Satellites," AFIPS Conference Proceedings, NCC, 1973, pp. 695-702. I.M. Jacobs, et al, "Packet Satellite Network Design Issues," Proceedings, NTC, November 1979. D.B. Hoang and K.J. Pye,Computer Communication Networks — Lecture Notes, School of Electronic Engineering, La Trobe University, 1995 Edition, pp. 86-88. W.W. Chu, et al, "Experimental Results on the Packet Satellite Network," Proceedings of the NTC, November 1979. Eytan Modiano, "Scheduling Algorithms for Message Transmission Over a Satellite Broadcast System," MILCOM 97, Monterey, CA, November 1997, pp. 629-631. Eytan Modiano, "Resource allocation and congestion control in next generation satellite networks," GBN 2001, Anchorage, AK, April 2001. Jivesh Govil is a final year student at Netaji Subhas Institute of Technology (DU), India. He is actively involved in several projects in the field of Wireless Communication and Analog Research. He has attended several international conferences and participated in seminars at IITs and other places also. 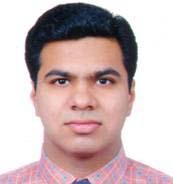 He has undergone industrial training in GSM/CDMA/IN Systems (MTNL). He was the only one to be selected for internship in Satellite Communications at INSAT Network Operation Control Centre (BSNL) in winter 2005. At such a young age, he has already 16 publications to his credit. He was selected amongst top 1% candidates by TATA Institute of Fundamental Research (TIFR) in the field of physics. He was awarded the President Gold Medal Award in high School for best performance in all the major subjects. He was selected for short course in “Digital Communication” at Massachusetts Institute of Technology (USA). He is an IEEE and IEE member.